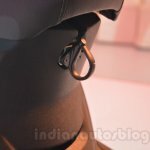 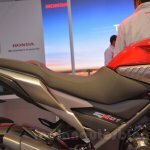 Honda have a wide range of exhibits at the show, and in this post we throw light on two all-new models that are very important to the mass-market ambitions of Honda. 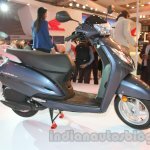 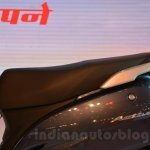 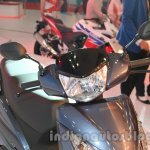 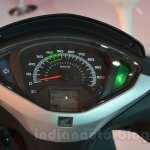 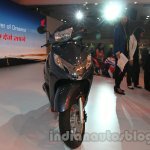 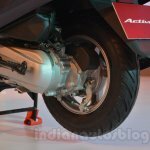 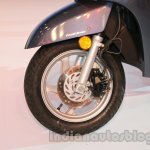 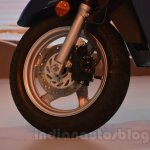 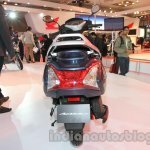 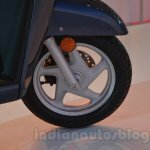 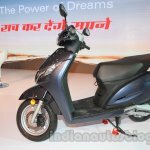 The new Honda Activa 125 was announced today at the Auto Expo by Takanobu Ito, President of Honda Motor Company, Japan. 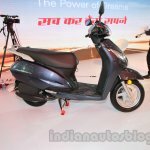 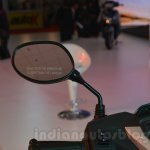 Said to offer class leading fuel efficiency, the Activa 125 gets a combi-brake system, optional disc brake, tubeless tires, digital meter, metal body, viscous air filter, MF battery, clear winkers, front chrome bar, and crowned headlight. 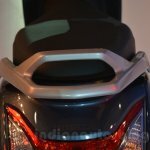 The Activa 125 will be launched on the market in Q1 of FY 2015. 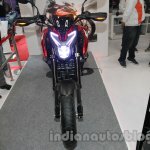 The 124.9 cc engine outputs 8.6 bhp at 6,500 rpm and 10.12 Nm at 5,500 rpm. 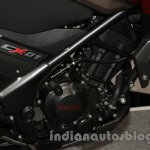 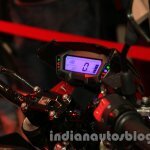 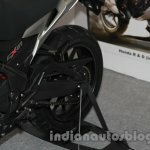 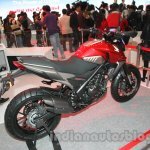 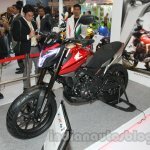 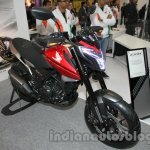 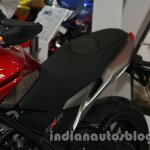 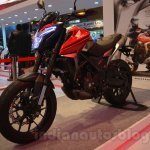 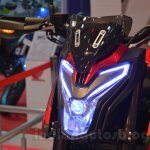 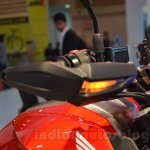 Honda is also showing a fully India-made concept vehicle 'Honda CX01' (CX - Crossover) which is a motorcycle for riders who want to go 'beyond city limits'. 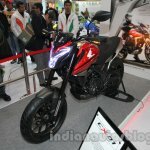 The design concept is targeting the youth, and is a cross of a commuter and an off-road bike. 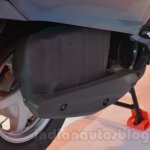 It features a high ground clearance, strong suspension with larger travel and higher damper rate. 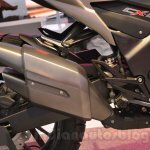 It will have a performance-oriented powerful engine (displacement not disclosed). 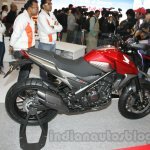 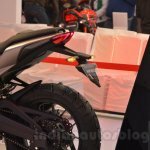 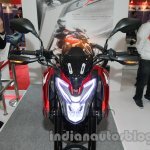 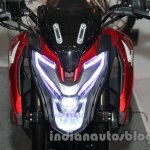 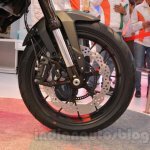 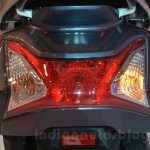 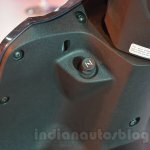 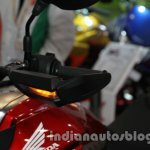 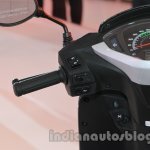 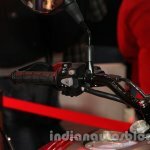 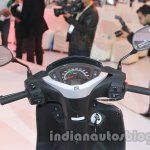 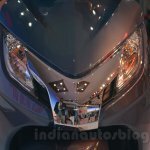 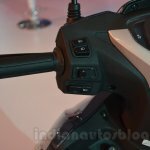 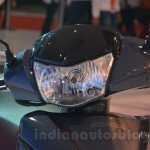 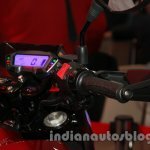 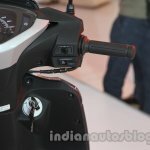 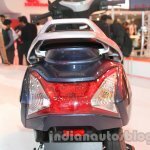 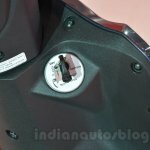 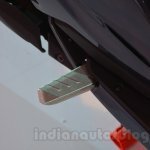 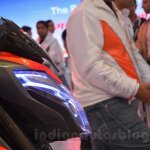 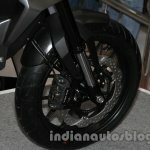 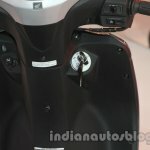 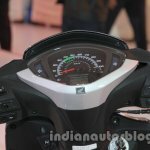 Honda is not disclosing further details.